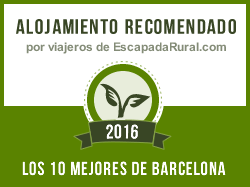 Can Pascol is a “Masia” (the typical historic Catalan farmhouse) equipped with renewable ecological and sustainable energies. 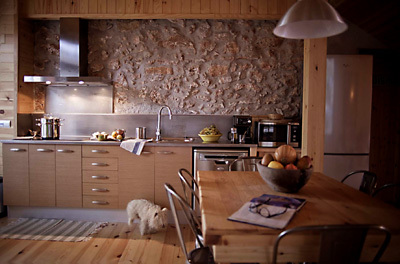 It is a comfortable home in wood and stone decorated with a mixture of natural elements and vintage 1950’s furniture. Heating and hot water in the house are generated with biomass, and the heated swimming pool of the spa is heated with solar energy in the spring and summer and with biomass in the autumn and winter. 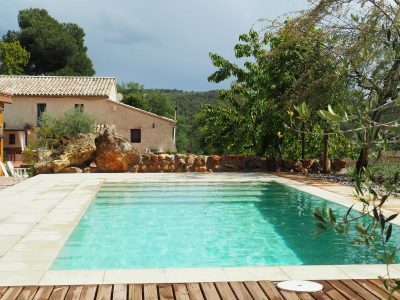 The two swimming pools, both the interior pool in the Spa and the outside summer pool, work by electrolysis and use semi-salt water, and therefore have very low chlorine levels. The house has a generator (8 thousand watts) for emergency situations caused by storms, with emergency lighting, extinguishers on both floors and a smoke detection system, smoking being prohibited inside the house. The heating, with adjustable thermostats on both floors, is fixed at a maximum of 22 degrees for energy saving reasons. We offer an interior space of 150m2, which consists of two floors, a Spa, and to the exterior, a large elevated garden of more than 1000m2 with a terrace, outdoor furniture, a hammock zone in our olive grove, a dwarf rabbit enclosure by the entrance to the house, an outdoor pool with a lounger zone, a large covered barbecue-dining area with views of the vineyards (where smoking is permitted), a covered parking area, and a laundry with a washing machine and tumble dryer for longer stays. On the ground floor, we find the kitchen-living room, equipped with a fridge-freezer, dishwasher, coffee machine, microwave oven, toaster, juicer, vitro-ceramic hob, Wi-Fi and all the necessary utensils to make you feel at home. The kitchen–dining room is a very bright space with views of the exterior and the Spa. The Spa, for exclusive use without sharing, is a 50m2 room that has been created for perfect relaxation. 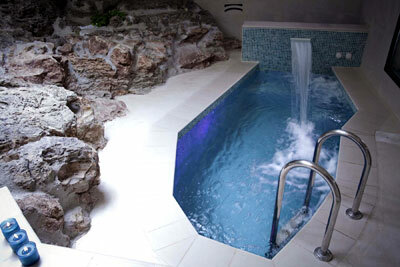 Surrounded by natural stone, there is a heated swimming pool with chromo-therapy and a water temperature of 32-34 degrees (according to the season) with a Jacuzzi and Scottish shower (always a little below the temperature of the water of the swimming pool to create a temperature contrast). There is also an infrared sauna with music and chromo-therapy, a rain shower, an exercise bike and everything necessary for bathing, with returnable robes and individualised slippers. Access to the Spa is free throughout the day, while the Jacuzzi and the Scottish shower may be used from 18:00h to 24:00h, and the sauna from 18h. to 22h. The cleaning service is included and optional vinotherapy massages and facial treatments are also available. On the ground floor, there is also a courtesy bathroom. On the first floor there are three bedrooms: two double rooms and one single room that communicates with one of the doubles (with a single bed and a cot, ideal for children). All the rooms have television, windows opening to the exterior, and a carefully designed decor that invites relaxation. Guests will also find a full bathroom complete with towels, a heated towel rail, hair-dryer, first-aid kit, amenities and all necessary hygiene facilities. We also offer our guests an organic and Km. 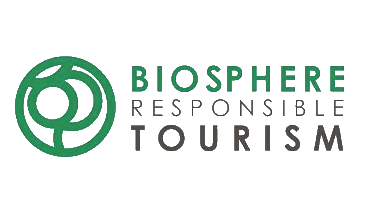 0 catering and kitchen service, as well as personalised menus to taste (as well as vegetarian and detox menus). Breakfasts, lunches and suppers are also available for those days when guests don’t feel like cooking. We also have room service and baby-sitting services for longer stays. Vitro-ceramic hob with 4 rings. Television in each room and in the living room. Self-adjusting ecological biomass heating (up to 22 degrees). Bathroom equipped with soap dispensers, amenities, heated towel rail and hair-dryer. Returnable robe service and individualised slippers for the Spa. Heated swimming pool with Jacuzzi, Scottish shower and chromo-therapy. Rain-sensation shower with fixed thermostat. Washing machine, tumble dryer and ironing station. Board games and children’s toys and games. Covered barbecue – dining area with firewood ready for use. Well behaved pets are admitted. More than 1000m2 of landscaped garden areas with outdoor furniture: summer outdoor pool with lounger zone, covered barbecue – dining area, hammock zone, dwarf rabbit enclosure, terrace with outdoor furniture. Everything is surrounded by vineyards and nature. Optional room service for longer stays. Optional baby-sitting service for longer stays. Optional massage service (consult in the Spa section). Optional catering service: ecological kitchen of Km0 . Welcome detail: organic harvester cellar. 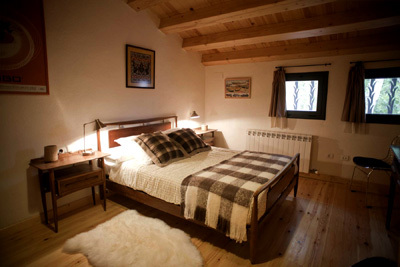 -Walking in a carriage between the vineyards of the Torres wineries of 1 hour, maximum 5 people, € 60. 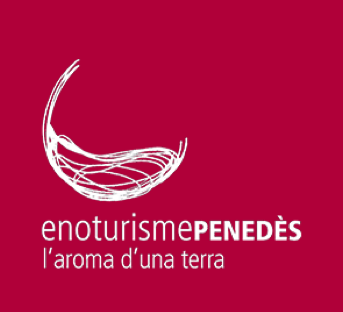 -Guided visit to the ecological caves Parés Baltà with tasting of cava, wine and olive oil 20 minutes from the house, 2 hours and € 15 per person. All the vineyards of height that surround our property are from Parès Baltà.